In researching Westerns … I’m finding I have some ‘dues’ to pay. I’ve discovered my education in Western movies is sadly lacking and there are a ton of Westerns out there that I have never seen that I need to ‘catch up on’ – even at this late date. In doing so I’ve also found that I sometimes have to subject myself to a few Westerns that are less than excellent. Like tonight, when I decided to watch The Shadow Riders with Tom Selleck. Tom Selleck is a favorite actor of mine and, in fact, is in one of My Favorite Westerns: Quigley Down Under. But The Shadow Riders is (sadly) not of the same calibre. It’s a TV Movie – a B Movie. Not that all TV Movies or B Movies are poor – some are pretty good and a lot of fun to watch – they just aren’t normally ‘top of the line’ in production qualities. The Shadow Riders actually has some pretty fine talent in – besides Selleck: Sam Eliott, Ben Johnson; Catherine Ross … plus a sampling of trusty support actors. But it’s not a good movie. 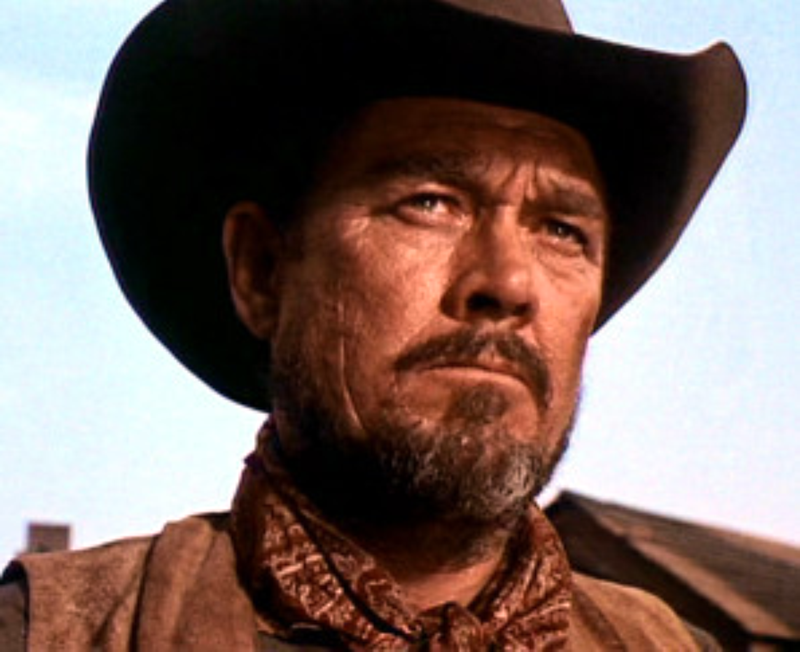 With regard to Ben Johnson: a fine Western actor who has appeared in MANY Westerns – and is also in another of my My Favorite Westerns: The Wild Bunch. He’s one of the four (anti) heroes who march to the final showdown – along with William Holden, Ernest Borgnine, and Warren Oates. Hi there … I tried to find this on YouTube and Torrent, but it’s pretty obscure. You can likely get it from Amazon I’m thinking. Sorry I’m not much help on this for you.